This is a night to explore African dance, poetry and music practices from many ethnicities, including Ghana, Nigeria, Guinea, and South Africa… ......the historic elements that function as a drive for most of these aesthetically vibrant performances. 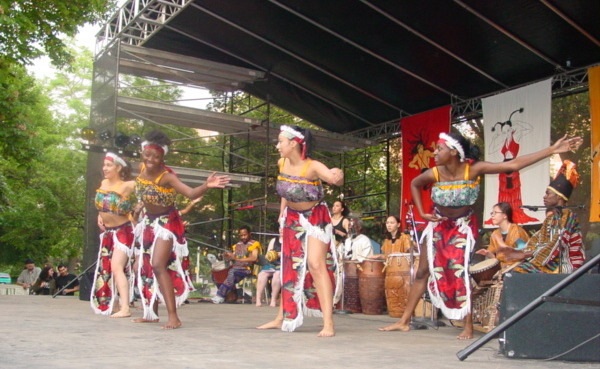 The African Dance Ensemble was founded in September 2001. The founder and Artistic Director, Isaac Akrong, envisioned a small world of cultures blending to learn more about African culture through the arts and related disciplines. 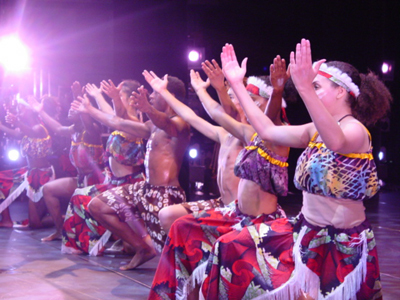 Having been choreographing for over a decade, presenting ethnographic/ethnomusicological works on African culture, dance, music, songs, drumming, flutes, and xylophones, he is blessed now with a wonderful team of performers with whom to share this holistic art form of an all-inclusive African theatre experience. This will be a night to remember and we strongly recommend that you reserve early as, undoubtedly, the room will be filled to capacity. Be ready to dance as there will be plenty of opportunity for audience participation! Click here for the Humanity in Harmony Festival 2007 poster. Click here for The Joy of Mama Africa Feb 2007 poster. Click here for the Humanity in Harmony Festival 2006 poster.